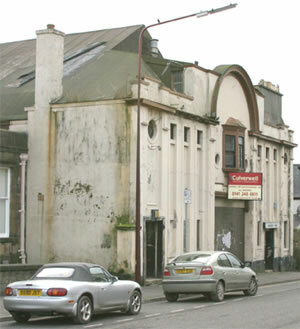 ONE of Helensburgh's best known buildings was saved from demolition with the news that La Scala had been taken over by a nationwide pub chain. Now it has been transformed into a theme pub called The Logie Baird. Barracuda, 2006 U.K. managed pub company of the year, spent £800,000 on developing the old cinema building at 8 James Street under its upmarket brand, Smith & Jones, with an emphasis on quality wine and food, and brought 30 new jobs to the town centre. THE second and current Helensburgh Advertiser was launched by Craig M.Jeffrey and his brother Ronnie in 1957, and the paid-for weekly has since become one of Scotland’s mostly highly respected local papers. Few have made a greater impact on the life of Helensburgh and district in the past half century than Craig — a talented writer, a consummate salesman, a man of real character with a tremendous sense of humour, a 100 miles an hour man to those who knew him or worked for him. 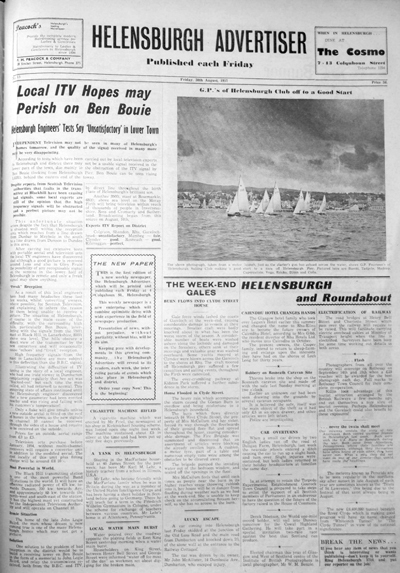 THE current local weekly paper the Helensburgh Advertiser is actually the second burgh paper of that name. 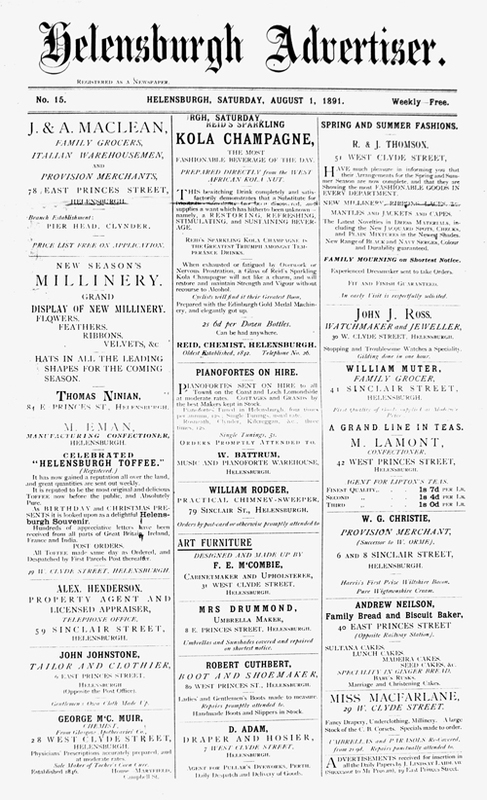 The original Advertiser was printed and published by J.Lindsay Laidlaw at 19 East Princes Street, and was launched in 1891 as a weekly free newspaper.